30% OFF on intensive courses, starting from 4 February for A0 and B1 levels. 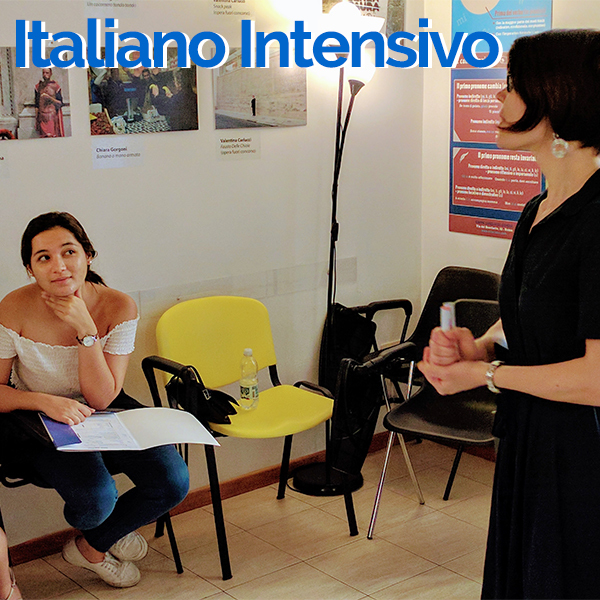 This Italian Language Course offers a full immersion in Italian Language and Culture: specifically tailored for those who need a short term learning experience, our Intensive Lessons give the chance to learn Italian through the study of the most common an useful communicative situations. VAT, books, entry test, certificate of attendace, wi-fi, access to school library and bar service are included. Этот сайт использует куки для улучшения вашего опыта. Мы предполагаем, что вы в порядке с этим, но вы можете отказаться, если хотите.